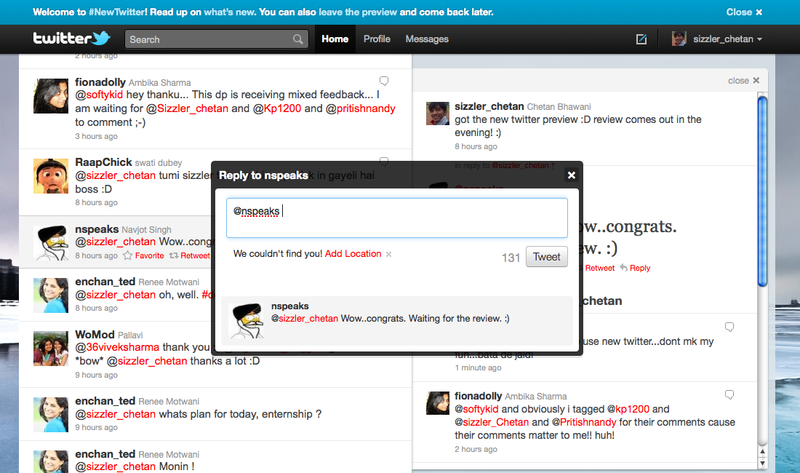 Twitter rolled out the new interface a few days back and they have not made it public already. I was one of the lucky ones who got the chance to preview it. I’ve loved the interface totally, which is made into a 2-section home that has been equally split, and all the options and links being brought on the timeline to make it a more streamlined view. The welcome screen guides you to what is available to explore. The tweet when clicked, opens up in the right panel and shows all the data about the tweet, including data about its retweets, mentions in the tweet and even the previous tweets of the user whose tweet you opened. When you click to reply a tweet, a box appears which helps you reply to, and also displays the tweet which you are replying to, so that you can’t get misguided replying to some other tweet by accident. 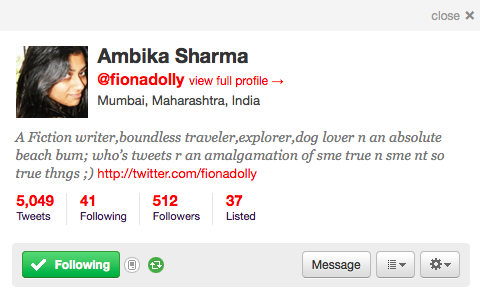 The profile page becomes more informative, and well made. It has everything, set widely and the top right section has the links for settings and option for you to leave the preview and go back to the previous version, if you are not interested. The mini profile of a user opens on the right section, and it has all the options and information you need about the user except the tweets made by user, which can be seen when the entire profile has been opened. 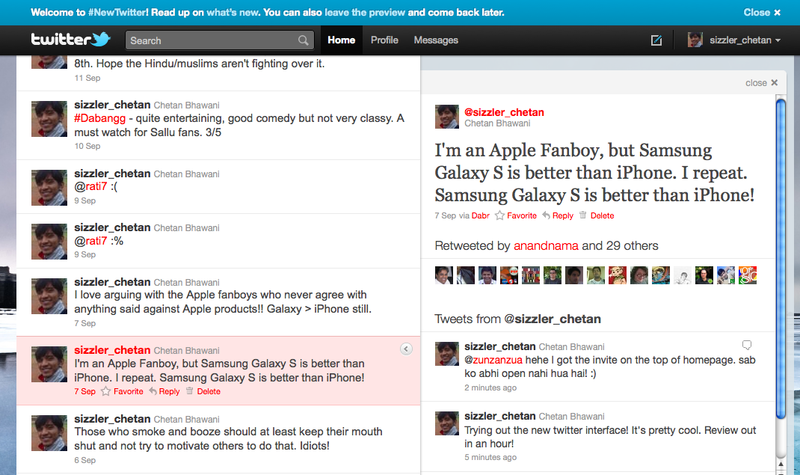 One of the best and coolest changes – Media. 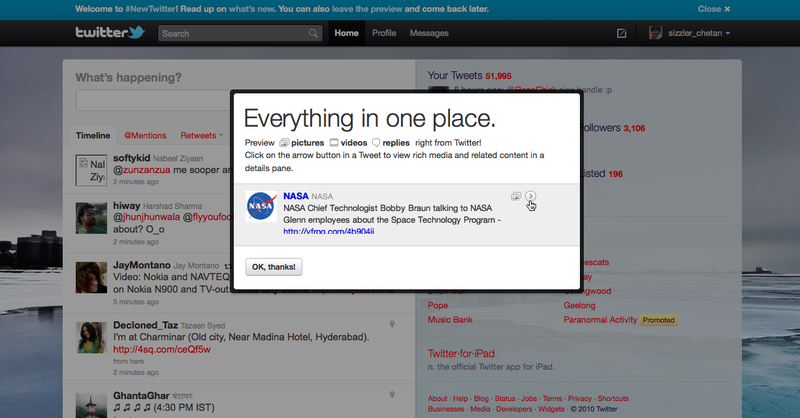 It opens directly on the twitter page and you don’t need to leave the page for any link that has media. 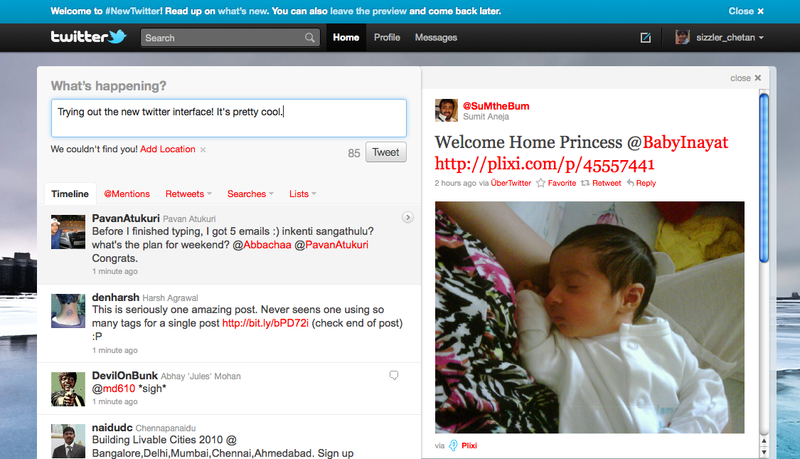 Images from sites like twitpic, videos from youtube etc. and if anyone is sharing their locations, Google maps too open up in the right panel. 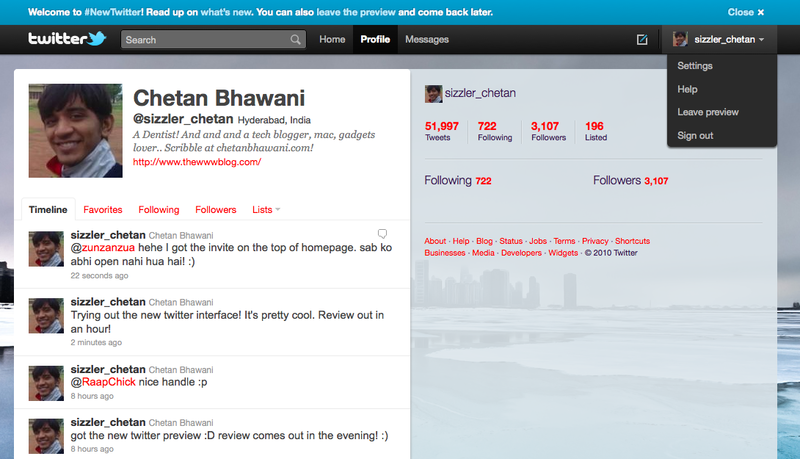 This is just the introduction and the screenshots explaining what the new twitter interface has, the review would be out very soon.